Readers and writers, take note! Book-loving Minnesotans, here’s a word to the wise and a great opportunity: AWP—the Association of Writers and Writing Programs—is holding its annual meeting at the Convention Center in Minneapolis next week, April 9-11. This is a Very Big Deal: more than 12,000 attendees, 1,900 presenters, 550 sessions, scores of free offsite events, and—best of all—a book fair with 700 publishers and literary organizations strutting their stuff. 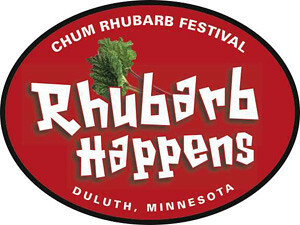 You can register for a day pass here. AWP is an overwhelming experience, with so many delicious options. Thousands of energetic teachers and writers of fiction, nonfiction, and poetry are gathered to talk about what we’re doing, where we’ve been, where we’re going with books and literature. The program is tantalizing, and you can’t be everywhere at once. Laura I. Miller, a seasoned attendee, has compiled a helpful list of tips for doing AWP. Me? I often retreat to our book table, where every person stopping by has a good story. At the MNHS Press exhibit, we’re proudly showing off books by our fine authors. But my colleagues and I are also on a mission—a treasure hunt for books-to-be on the history and culture of Minnesota and the Upper Midwest. We’re searching for manuscripts with strong Midwestern themes and a strong sense of place: Well-researched and well-written stories that use the best tools of narrative journalism to tell history for general audiences. Narrative nonfiction on food, adventure and travel, true crime, war and conflict, Native American studies, environment and the land, popular culture, and women’s and ethnic histories. Good books to help people live richer lives in Minnesota and beyond. Thursday, April 9 from 10:00-11:30 we’re hosting a signing with Bruce Joshua Miller and Ned Stuckey-French, editor and contributor to Curiosity’s Cats: Writers on Research. Contributors to Blues Vision: African American Writing from Minnesota will be dropping by to sign on Saturday morning. Stop by to say hello and get a copy! MNHS press director, Pam McClanahan, editors Shannon Pennefeather and Josh Leventhal, and sales manager Jerry Bilek and I look forward to seeing you at Booth 412—and hearing what you’re writing about. 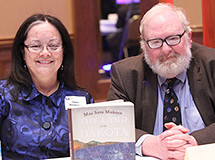 We are delighted to announce that Mni Sota Makoce: The Land of the Dakota by Gwen Westerman and Bruce White is the winner of the 2014 Hognander Minnesota History Award. The Hognander Minnesota History Award recognizes the most outstanding scholarly work related to Minnesota history published during the preceding two years. 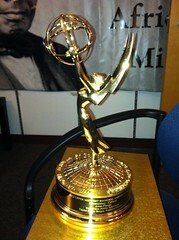 The award, funded by the Hognander Family Foundation, is presented every two years. 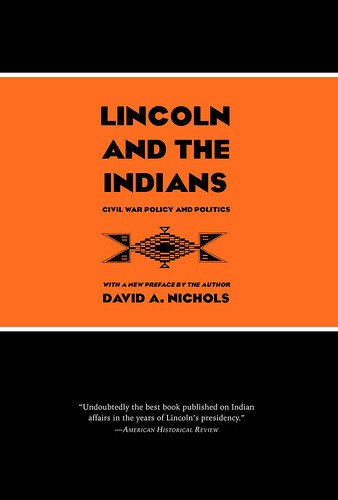 Published by Minnesota Historical Society Press in 2012, the book went on to win the 2013 Minnesota Book Award in the Minnesota category last year. Westerman and White will be honored for their latest achievement at the upcoming Book Awards Gala on April 5 at the Saint Paul Union Depot. Gwen Westerman is professor of English and Humanities at Minnesota State University, Mankato. Bruce White is author of We Are at Home: Pictures of the Ojibwe People. 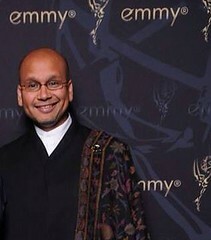 Our Asian Flavors documentary, co-produced with tptMN, won the 2013 Upper Midwest Regional Emmy® Award from the Upper Midwest Chapter of the National Academy of Television Arts and Sciences (NATAS) in the Cultural Documentary category. 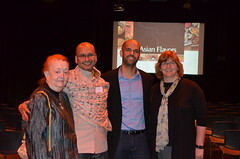 Inspired by the book Asian Flavors: Changing the Tastes of Minnesota since 1875 by Phyllis Louise Harris with Raghavan Iyer, this thirty-minute documentary celebrates Asian immigrants who have left an indelible and flavorful mark on Minnesota’s culinary, cultural, and economic history. Congratulations to a winning team!